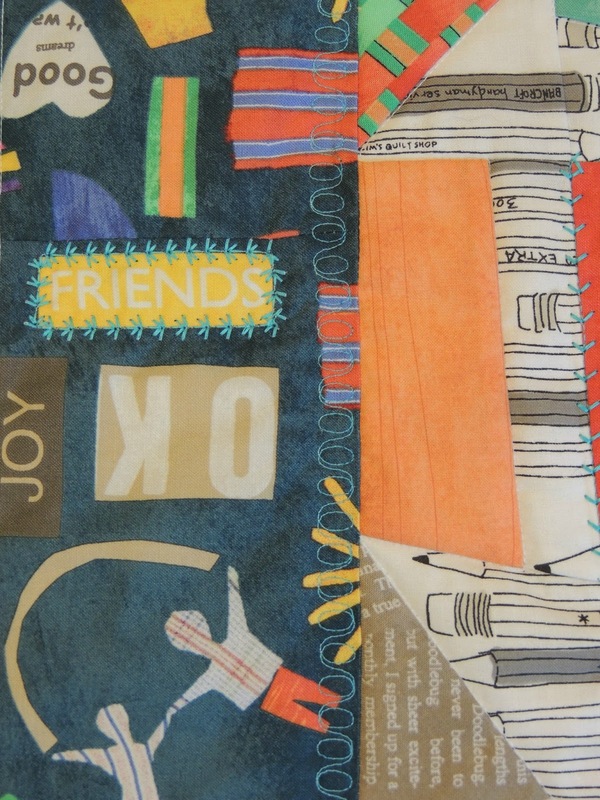 School is almost out for summer and I have been sneaking in a few minutes in my quilting space to quilt, trying to focus on those things I planned to work on for the Finish Along Quarter 2. I'm happy to report this placemat is finally quilted! I used the chance to review PFAFF's creative 3.0 as an opportunity to add some fun stitiching to it as well. I used the sequencing feature to add my own words to the placemat between the fun pencils. 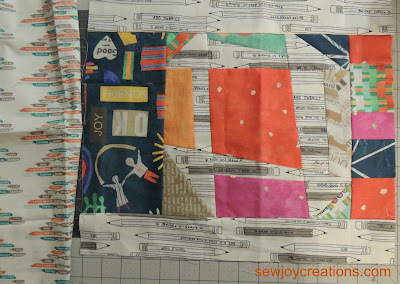 Then I used some of the built in stitches to add some more fun details - like the stitches around the FRIENDS patch. 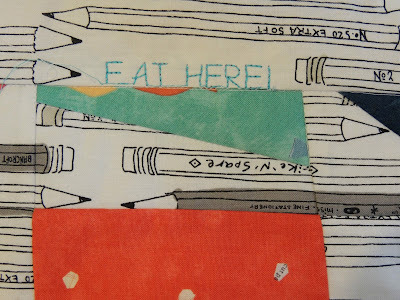 Now all four of my placemats made with this fabric (Story, by Carrie Bloomston) are in use and making my dining room look a bit more jubilant with the arrival of summer vacation! 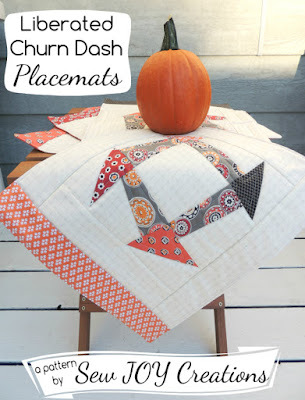 If you want to make your own Liberated Churn Dash placemats you can find my pattern here. 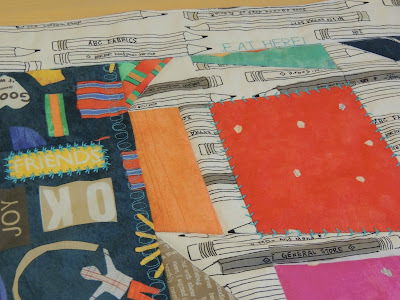 Now back to my quilting space where I hope to have my second Finish Along Quarter 2 project finished today! Great placemats Sarah!! Such fun fabrics and quilting! Those look like fun, Sarah!! !